On February 18-19, the French Prime-Minister Manuel Valls and the Defense Minister Jean-Yves Le Drian are to visit Mali and Burkina Faso (on April 20). Valls is to meet with the Mali President Ibrahim Boubacar Keïta. The Prime Minister plans to visit the biggest town in northern Mali, Gao, where French troops have been deployed for carrying out Operation Barkhane (involving up to 1300 personnel). This operation is aimed at fighting against terrorists in five countries: Mauritania, Mali, Niger, Chad and Burkina Faso. The objective of Valls’ visit is preparing for the Africa-France Summit previously decided to be held in January 2017 in the capital of Mali, Bamako. Mali is one of the Sahel-Saharan States, an artificial colonial state formation which united historically conflicting ethnic groups. Immense geographical and cultural differences exist between the North and South of Mali. The source of the main political problems in Mali (including separatism in the North) is rooted in the fact that this artificial unitary state is comprised of different nations having no common interests, whether strategic or political, which guarantee national unity. The South is populated by farmers, while the North is inhabited by Tuareg nomads and Arab Islamists. Hostage-taking and the terrorist attack at the Radisson in Bamako revealed that the forces of Islamist groups in Mali have proliferated rapidly (local militants of the Al-Murabitun group seized a hotel having previously sworn allegiance to ISIS). In Africa, there exists a particular variety of “Arab-African Islam” which differs from traditional African Islam. The Jihadism gradually taking root in the South Sahel represents the greatest threat to the peoples of Africa and their beliefs and traditions. In addition to Islamist groups (mostly widespread in the north of Mali), another important subject of political reality are the Malian Tuaregs. During the colonial era, the Tuaregs were included into French West Africa. They resisted the French authorities for a long time. As a result of French colonial policy, the Tuaregs lost control over the population of sedentary farmers. In 1970-1980, the Tuaregs were in favor of the creation of the state Azawad. In the 2012-2013, Mali was faced with a Tuareg rebellion. First of all, the Tuaregs tried to establish peaceful dialogue with Islamist groups but failed due to disagreements over the role of Islam in Azawad. Although the Tuaregs are Sunni Muslims, they have kept many pre-Islamic traditions (matrilineal clan organization and monogamy for example). • The basis of political instability of Mali is not religious conflicts, but ethnic and even racial instability (these conflicts are manipulated by Islamists); Thus, Islamism is not the main source of conflict. Mali has been a zone of French interest since the second half of the XIX century. By the beginning of the twentieth century, the territory of modern Mali had been subordinated by Frenchmen and was called French Sudan. In 1945, French Sudan gained the status of a French overseas territory. The natives gained the French citizenship, political parties were allowed to be created, etc. In 1946, the Sudanese Union Party appeared in Mali which started the anti-colonial movement. Since then, it initiated the active struggle of Malians for independence from France which resulted in, firstly, the establishment of the Malian Federations as a member of the French community, and, in 1960, the Sudanese Republic announced its withdrawal from the French Community and declared itself to be the sovereign Republic of Mali. When France realized that it was beginning to lose control over its former colony (in 2012, separatism strengthened considerably in northern Mali on the part of Islamist groups and with the Tuareg uprising), the French government decided to once again put the state under its control as a former colony still considered by France to be an important zone of influence. The intervention of French troops in Mali initiated by Hollande (whose officially-stated goal was fighting against terrorism, destroying the alliance between militant extremists, and supporting the Malian government in the fight against separatism in the North, i.e. 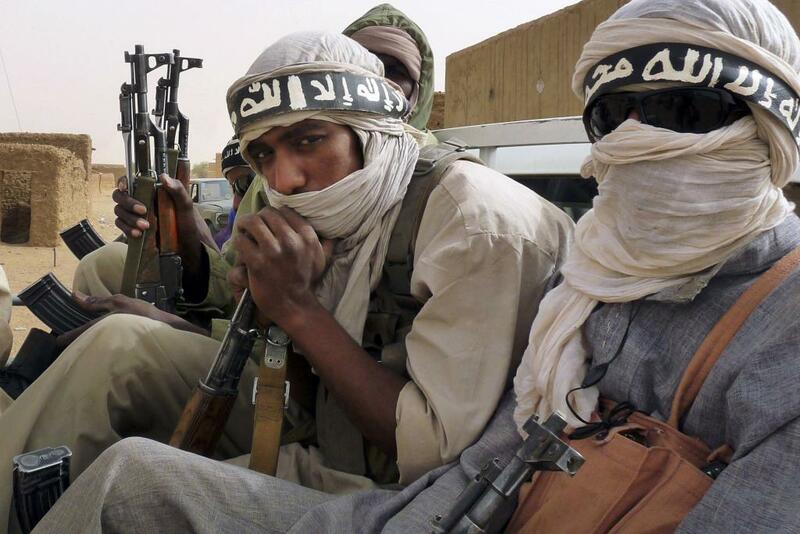 against “Azawad" and the “Islamist Emirate”) was launched and approved by the French Parliament. This military intervention, codename “Operation Serval”, was discussed on January 14 but had already begun on January 11. It is noteworthy that Hollande's foreign policy has practically no difference from his predecessor’s (Sarkozy, who defeated the Jamahiriya). On its own grounds, leftist ideology is against colonialist policy, i.e., imperialism. After the First World War, the famous icons Ho Chi Minh and Che Guevara (who identified themselves with the anti-imperialist movement) had constant contact with the world communist movement (and the Comintern). Today, however, only Latin American Left-wing leaders pursuers actively anti-colonialist policies that aim to free Latin America from US influence. Hollande, at the same time, however, is a representative of a left socialist movement consistently conducting colonialist foreign policy. The military intervention in Mali aims at establishing control over this country and logically continues the imperialist vector of European empires.